As one of the five remaining communist countries, Laos is very much a victim of its political history. The domino that fell along with Vietnam in the 1970s is only just starting to pick itself back up – much to the delight of the tourist. Laos is the country nestled between Thailand and Vietnam, landlocked by Burma and China to the north and Cambodia to the south. 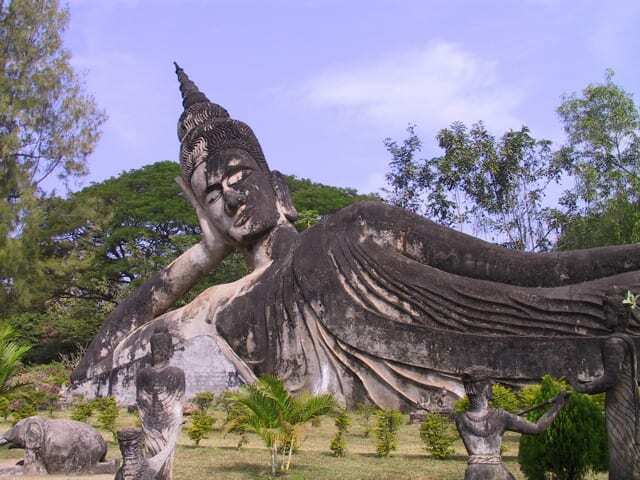 Buddhism, French colonialism and centuries old Laotian traditions come together in a country that is as rich in culture as it is poor economically. Despite being the only country in beach-abundant Southeast Asia without a coastline, Laos is home to the largest section of the mighty Mekong River that flows from China to its delta in Southern Vietnam. The Mekong, as well as other grand waterways, help to mould mystical landscapes among glorious mountain formations and deep, merciless forests. Many of Laos’ major settlements sit on the banks of the Mekong River, including Luang Prabang, Pakse and the capital city, Vientiane – highlighting its importance to the country. Travelling from the north – crossing the Thai border at Chiang Khong – the first major destination you will meet is the former capital city, Luang Prabang. Once the home of the royal household of Laos, its old town has now been officially declared a UNESCO World Heritage Site. This charming little city sits at the confluence of the Mekong and Khan rivers that blend together here just as the Laotian and French cultures do. The wooden-fronted quaint buildings of the old town make you feel as if you are strolling through a French village, while the Royal Palace and temples bring you back to Southeast Asia. Luang Prabang is a wonderful place to enjoy rustic Laotian cuisine and explore the night market for local arts and crafts. The National Museum, housed within the Royal Palace, offers a taster of the history and culture of the nation and there are many cocktail bars to end the day in. 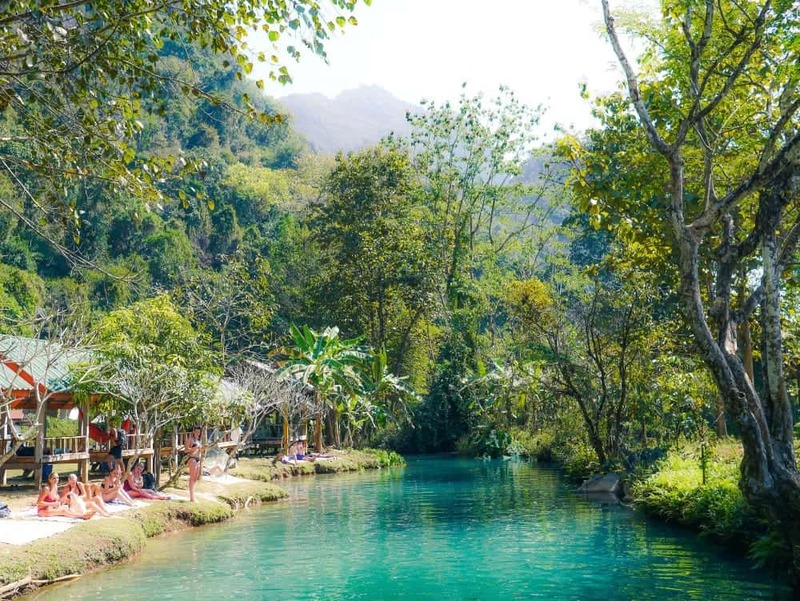 Vang Vieng is a small town that sits on the Namsong River surrounded by mesmerising karst rock formations. Originally a staging post between Luang Prabang and Vientiane, Vang Vieng expanded during the Vietnam War as the US Army established a base there – the airstrip sits just behind the main street. In recent years the town has become a backpacker hotspot as the activity known as tubing – floating down a river on an inflatable inner-tube – attracts thousands of visitors here each month. Nowadays the town caters very much for the backpacker crowd – Irish bars, clubs and cafes that play episodes of the sitcom Friends round-the-clock. A few miles down a dirt track (take care during monsoon season!) brings you to a blue lagoon and a series of caves that showcase the natural beauty of the area. – That Luang is a golden Buddhist stupa that is the most sacred monument in Laos and the national symbol. – The Patuxai Monument is similar to the Arc de Triomphe in Paris and sits in the centre of the government and administration district, an impressive sight that makes for a good photo opportunity. – The COPE Visitor Centre is a well-presented museum documenting the horrific consequences of the bombing suffered by Laos during the Vietnam War – unexploded ordinance (UXO) remains throughout the nation and COPE helps those who have suffered injuries as a result. Laos is a relatively poor country; ranked 129th in the World by the World Bank for GDP, it continues to develop its essential infrastructure. The main reason for this lack of development in recent history has been due to its isolation as a communist state, relying heavily on trade with neighbours Thailand, Vietnam and China to support its economy. However, more recently Laos has seen loosening restrictions from foreign governments allowing more investment in the country. This along with a fledging tourism industry and the instigation of the Lao Securities Exchange in 2011 is ushering in a new era for the Laos Economy and the country is looking towards a bright future. Southeast Asia is famed for its paradise beaches, enticing millions of tourists to the region every year. 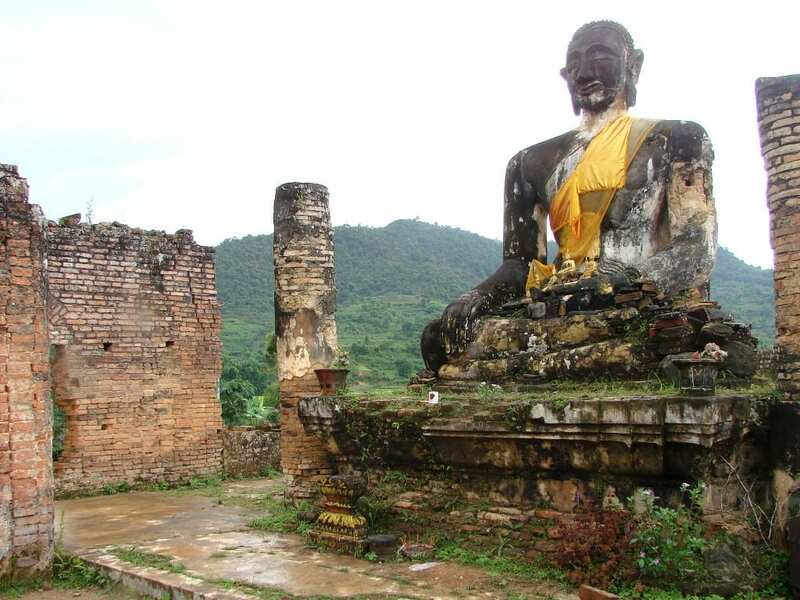 However, because Laos is the only Southeast Asian country without a coastline, it invites the tourist to explore another side of region – where mountains, jungles and raging rivers dominate and the cuisine and culture compete with the very best in the world. Take the road less travelled and let the landlocked nation unlock your heart to the unforgettable culture and landscape of Laos. A wonderful article about opportunity for tourists. Yes, this 129th poverty ranked country could have been improved some 25 years ago but for the failure of Lao PRP’s leadership. Agriculture, tourism and manufacturing industries should have been Laos’ economic foundation to start with in order to spread the national wealth to Lao people at every corner of this poor landlocked country. Unfortunately, Laos’ revolution has never been a revolution to overcome Lao people’s poverty, or their well-being. It has been just a power struggle between social classes. Lao people: The victims! May Buddha be prayed. Sathou.